Korg Forums :: View topic - Mono or stereo cables? this is why i liked my idea of an RCA box: it's a bit fiddly and needs MORE cables but at least you get the jack size and impedance you need at the outputs, and can introduce interesting stuff in-line. stereo mini to 2x RCA are well-made, cheap and widely available AND dual-purpose in this case. There is a Hosa cable that is "1/8 TRS to 1/4 TS". I utilized this cable for by volca keys and volca beat. For the other two volcas i have, the sample and the fm, i use those insert style cable. some individuals are worried about there being no resistor on the TRS to TS cable \, which is a valid concern, but i have experienced no issues and have been utilizing that specific style of cable for the volcas for 3ish years. i'm not sure what the principle is here, but a passive mixer is not just signal wires joined together with a common ground. i was wondering if it was something more complex than just a resistor. i don't want to use TRS to 2 mono ('insert cable') because i only want to use 1 mono channel. edit: OP was talking about the sync cable btw. we're onto audio output now. Yeah I just noticed hahaha you should use 1/8 stereo for sync volca as you can use for modular, they will only get the tip but strangely volcas wants stereo for sync. So my confusion here is: I understand I can also use a stereo cable with modular or other synth because it will only use the tip of the jack buy Volcas want stereo cable, so basically the input is splitter? i think it could be worth recording the sync signal and having a look (via some attenuation perhaps) at what's going on. obviously not a regular clock pulse. TS sync signals like clock will just ignore the ring, i suppose: nothing to send, nothing receiving at the other end. some disparity with that 1st vid (that i saw before posting). i have a feeling your TRS to TS cables may just be sending one side (?). how else could it be? unless there are some resistors in the monojack, which i somehow doubt. for those hosa cables the tip and ring signal are shorted together without a resistor. they are marketed to be mono to stereo not the other way around. on the volca the sync input needs to receive a relatively loud signal for the clock pulse to be properly detected. it may be that the use of trs to trs for sync on the volcas actually function similar to the headphone jack. a split signal where both sides are needed to output the proper volume needed for the sync pulse. another thing to consider, the pocket operators also utilize a trs cable to send sync signal. but the pocket operators have a few options for how the signal is sent/received. one of those options will send the sync signal on one side of the trs cable and audio through the other side. i think it ultimately comes down to how the device receives the sync signal which dictates what cables are needed to get the signal to work properly. Sync In and Out only use T and S. The R terminal is left disconnected. On the Head Phone Out (Stereo), T and R are each fed by a separate amplifier. Both amplifiers share a mono input (Volca Bass is mono). What I have observed is that if you use a 1/8" TRS to 1/4" TRS cable and plug it into a balanced 1/4" TRS input, then you will get a very faint signal, due to the fact that the difference between the 2 identical phases is 0. What I do is use common 1/8" TRS to stereo RCA cables (I have a bag full of them), with a RCA to 1/4" adapter at one of the RCA ends, leaving the other one disconnected. 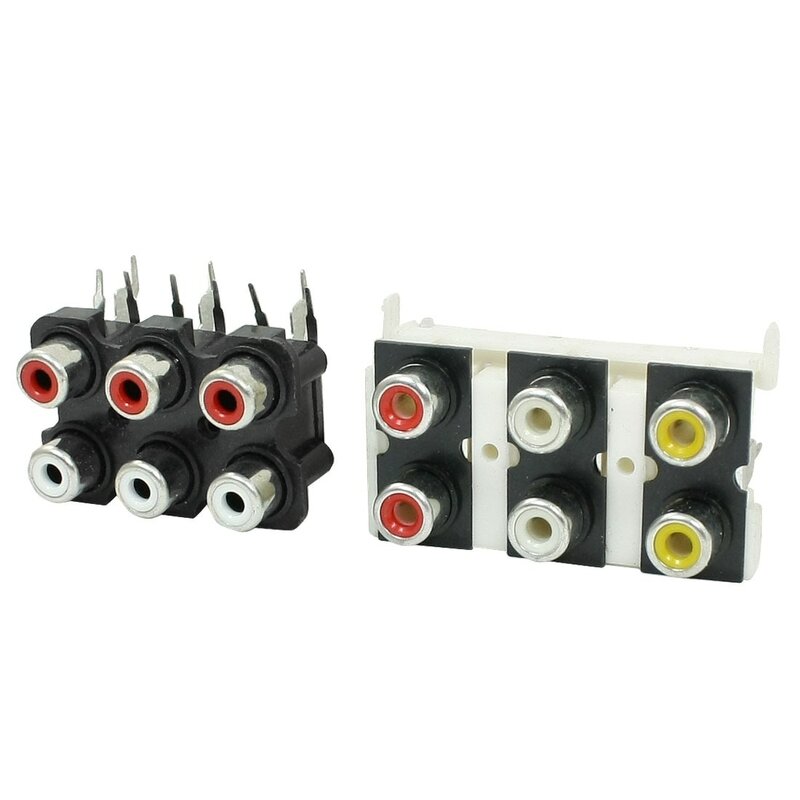 If you plug a TS connector into the balanced TRS jack, basically what you get is the difference between signal and ground, which is the original signal anyway. And if your Volca is stereo, just use the other RCA end with another mixer channel. and have to use it half pulled out/inserted to first click. -but isn't a balanced signal one side normal polarity, and the other side inverted? or would that just cancel out? where/how does this balancing occur? Yes, one side (T) carries the original signal (A) and the other (R) carries an inverted version of it (-A). This inversion is done at the source. Or close to zero, as there is always some small amount of phase distortion in the circuits, that's why you might still get a very low signal in the end (or the subtle difference between the channels, if it's a stereo signal). dual mono on TRS to un/balanced (dual mode) mono input ? How do you feel about the option of having this little adapter box i suggested, using a strip of RCA pairs as inputs, then having the 470 ohm resistors? - and there were a few options on the Rane page higher up on this page - with a switch option for normal stereo thru (and whatever else). apart from a quick bit of DIY seems no more hassle than having loads of RCA-jack adpaters (i do have a decent collection of them but i don't want to just use one channel, or have to use 2 to get optimal signal level. I'm not quite sure I understand the question, but just to make sure, what I described as Output on my previous post is the final result at the destination. I don't know about the box, don't get me wrong, but in my case it seems that it would be just one more thing in the middle to deal with. I have a fairly compact setup, with enough mixer inputs and a box filled with bags of cables and adapters. And for "optimal level", that's what the gain/level controls on the mixer are for. Not really! If your signal is quiet because you didn't use the best cable set up you'll gain more and it will bring also noise level from your mixer or your audio interface. The lower is your gain(not your level, you should consider differently) the cleanest the signal. You get shocked how much noise you cut with the right gain, I was using a gate before I don't need it anymore. Also don't match at 0db, try to stay around -18db so you have plenty of room for mix and mastering don't touch the fader till you're in mixing. Everytime you use an effect match the increment of volume how it was it, if the effect has an output control is ideal otherwise you can use the faders. Gain is the volume when your instruments come inside something so they should match the same level, also if you gain stage properly your fader will be more sensible and you have a long travel till the sound disappear. with you there, Doc'. this is why i want to be able to, on the one hand sum the 2 mono sides when needed, and on the other, provide 1/4" output. top and bottom. hoping that might provide enough shielding, if needed. volca case under the pcb - regular ones don't; you can shave the plastic down but it's messy and not very satisfactory.